Familiar faces are returning to Japan pro basketball as some teams make moves to shake up their rosters. Nearly one-fourth of the way through the inaugural B. League season, a 60-game campaign, the Shiga Lakestars and Sendai 89ers are among the teams adding veterans to replace other players. The Lakestars recently announced that veteran guard Narito Namizato has finalized a deal to join the team. His playmaking skills will give Shiga (2-12) an added boost as coach Koto Toyama’s team aims to make a dramatic turnaround. 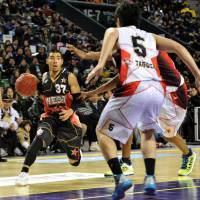 Last season, Namizato averaged 8.0 points and 4.3 assists in 52 games for the Osaka Evessa. He starred for the Ryukyu Golden Kings on the Okinawan club’s 2011-12 and 2013-14 title-winning teams. 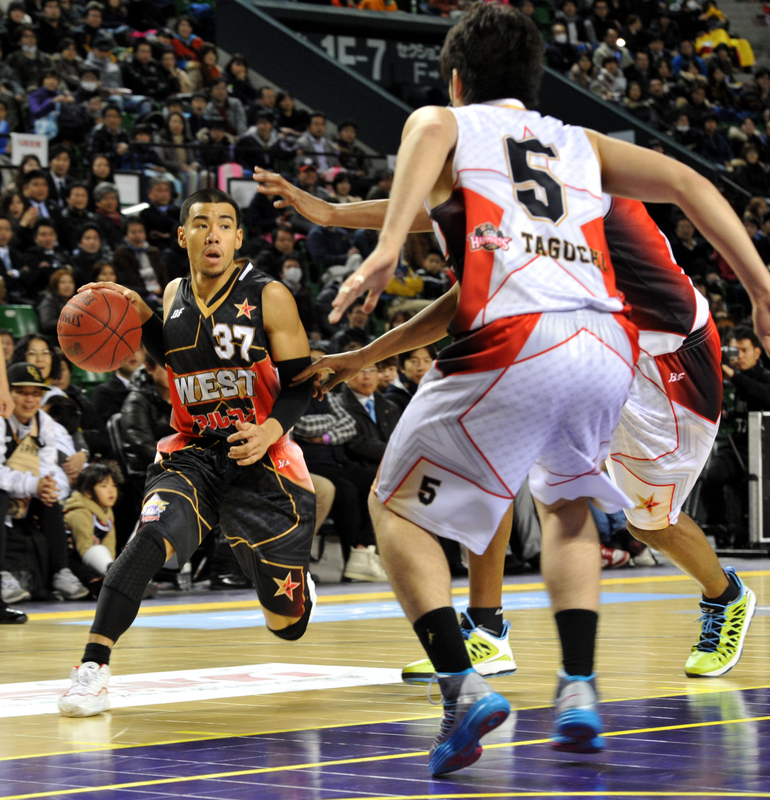 He was named to the bj-league’s 2012-13 Best Five Team. On Wednesday, the Sendai 89ers heralded the arrival of two-time bj-league MVP Wendell White. The UNLV product was a free agent after spending the past three seasons with the club. The 32-year-old White, who earned MVP accolades during the 2009-10 and 2015-16 campaigns, rejoined the 89ers after they released forward Dion Wright. Sendai enters the upcoming weekend with a 6-8 record. Meanwhile, the second-division Ehime Orange Vikings this week finalized a deal with Lawrence “Trend” Blackledge, an accomplished power forward during stints with the Osaka Evessa (2010-12, 2015-16), Hamamatsu Higashimikawa Phoenix (2012) and Iwate Big Bulls (2012-15). The Marquette University alum is a gifted rebounder, shot blocker and passer and will also add inside punch to the Orange Vikings’ scoring attack. In recent days, Ehime (Remi Barry), Levanga Hokkaido (Brian Fitzpatrick) and the B2 Nishinomiya Storks (Will Creekmore) have cut players. Prominent pickup: The San-en NeoPhoenix, formerly known as the Hamamatsu Higashimikawa Phoenix, have hammered out a deal to sign former NBA first-round draft pick Josh Childress to a contract, basketball insiders told The Japan Times. The 33-year-old Childress was the No. 6 pick in the 2004 NBA Draft. He skipped his senior season at Stanford University to enter the draft. As a junior, Childress was named the Pac-10 Player of the Year. He played for the Hawks, who drafted him, from 2004-08, and was selected to the NBA All-Rookie second team to kick off his career. During his NBA sojourns, which stretched until a four-game stint with the New Orleans Pelicans in the 2013-14 season, the swingman averaged a career-best 13.0 points in 55 games in 2006-07, when he also averaged a career-high 36.8 minutes. Childress suited up for the Phoenix Suns in the 2010-11 and 2011-12 seasons before moving on to the Brooklyn Nets the next season and then to New Orleans. He has appeared in 391 NBA regular-season games (70 starts). His career totals: 9.1 points, 4.7 rebounds and 1.6 assists a game, while shooting 52.2 percent from the field and 77.9 percent at the free-throw line. His career also includes stops in Greece (Olympiacos Piraeus, 2008-10) and Australia (Sydney Kings, 2014-16). He saw time in the NBA Development League with the Texas Legends near the end of last season. In eight games with Texas, Childress contributed 12.0 points, 6.5 rebounds and 1.8 assists. Childress will fill a vacant roster spot after the team parted ways with veteran swingman Richard Roby on Tuesday. Roby appeared in 14 games (nine starts) for the NeoPhoenix. He averaged 10.9 points and 5.6 rebounds while shooting 34.6 percent from the field. Coming off a bye week, San-en is 9-5. D-League talk: Dynamic forward Le’Bryan Nash of the Rio Grande Valley Vipers had a stellar regular-season debut for his new team on Sunday. The former Fukushima Firebonds standout, who entered the game as a backup, poured in 21 points in 25-plus minutes against the Reno Bighorns. He added four rebounds and three assists in the Vipers’ 112-103 season-opening home victory. Nash, who led the bj-league in scoring last season (26.6 ppg), analyzed his role for Rio Grande Valley after the opener. Upcoming competition: A full slate of games is on the docket this weekend, and then a short respite before most teams are back in action next Wednesday for a rare one-game set — instead of back-to-back contests — against a league foe. First up, Osaka plays host to Shiga in their series opener on Friday. Saturday-Sunday matchups: Nagoya vs. Ryukyu, Kyoto vs. Mikawa, Hokkaido vs. Tokyo, Chiba vs. Akita, Niigata vs. Kawasaki, Sendai vs. Tochigi, Shibuya vs. San-en and Yokohama vs. Toyama. On Nov. 23, it’s Akita vs. Hokkaido, Tochigi vs. Chiba, Niigata vs. Yokohama, Shiga vs. Nagoya, Sendai vs. Tokyo, Kawasaki vs. Shibuya, San-en vs. Toyama and Ryukyu vs. Kyoto. A day later, Mikawa takes on visiting Osaka in another one-game clash.